Shopping at Somerton Jewelers means having some of the most flawless collections of engagement rings in Philadelphia, PA. 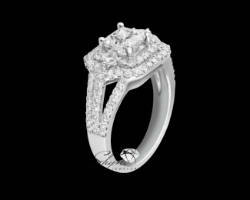 This store specializes in diamond rings any woman would drool over. The company offers a lifetime warranty on all of its jewelry because they are confident that their craftsmanship will stand the test of time. They will repair your jewelry on the rare occasion that it is not up to this store’s high standards. With all of this and extensive custom jewelry experience, you are shopping at a store that does it all. Philadelphia is known for its history, so it is no surprise that the diamond center here is one of the oldest in the country, which also means most experienced. 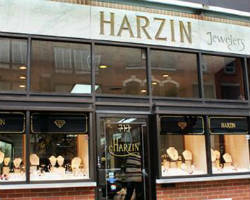 On Jewelers Row, you will find Harzin Jewelers as well as some of the most prestigious jewelry stores in Philadelphia. What sets Harzin apart from the rest is its selection of rings and its service. 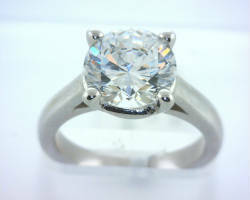 The specialists at the store work hard to find you the ring that you know your intended will love. Deborah Finn Rittenhouse Jewelers is a premier local jeweler. With the designer and owner there to help you make your selection, you can be sure that you are dealing with an expert throughout the entire experience. Deborah, the diamond guru, is certified in diamonds by the GIA. She has an impeccable eye for radiant stones that she puts into your rings. Her specialty is customizing diamond rings for every aspect of a wedding; engagement rings, wedding bands, bridal party jewelry, anniversary rings, etc. Searching for wedding rings in Philadelphia can seem like a daunting task. McGarry’s Jewelers wants the shopping process to be something you truly enjoy. 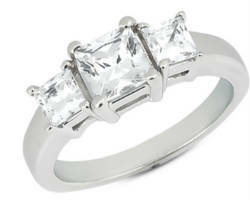 They specialize in custom rings for every aspect of your wedding. 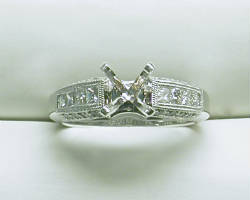 Since 1854, they have been working with couples to design their own rings bringing out the unique style of the couple. By helping the jeweler design your ring, you can be sure that it is something you will love and cherish for the rest of your lives. Associated Diamond Brokers offers a huge selection of vintage rings that they have specifically chosen to present to you. 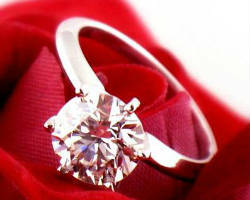 They are dedicated to helping you find your perfect ring, and if they don’t have it, they will help you search for it. 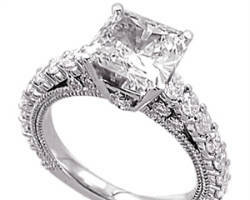 In addition to their antique rings, they also offer repairs, appraisals, and custom designing services. When looking in Philadelphia for engagement rings, wedding bands, and anniversary jewelry, you will definitely find a ring to wow your partner and show you love. Shyne Jewelers serves clients who are looking for only the finest and most unique jewelry in the business. Though this store began as a small jewelers, the knowledge and the designs of the artists who work there have made it a huge success. Share in their creativity by choosing from one of their creations or tell them what you like so they can design something just for you. They have a huge section for men and for women so both you and your partner can be clad in luxurious diamonds.